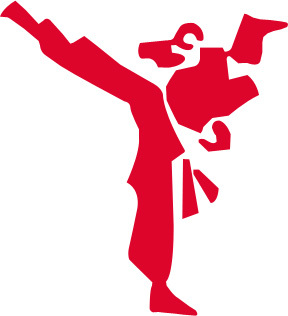 Established in April 2005 by Master Tony Butcher, 5th Dan Black Belt, we are four small, family-orientated clubs, with a friendly atmosphere and over 370 registered members ranging in age from 4 to 50. Modesty, etiquette, perseverance, self-control and indomitable spirit. 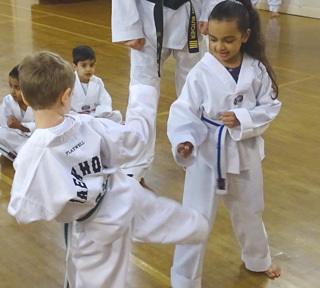 Our son was introduced to the five tenets of taekwondo when he was a wide-eyed five-year old in tracky bottoms turning up for a taster session at the Church Hall in Ickenham with Tony Butcher. Eleven years later, he is a Second Dan Black Belt and a senior grade in the club but it’s those five tenets that he has absorbed and they will help him for the rest of his life. Tony’s boundless dedication to his students and his enthusiasm in helping them learn and develop new skills both mental and physical have helped make our son the young man he is today. My daughter is thoroughly enjoying her Taekwondo training, her new found confidence which has developed from this has really helped her in numerous other parts of her life. Many thanks Tony for providing a quality program for the kids to follow. My 5 year old daughter absolutely loves her Taekwondo lessons. 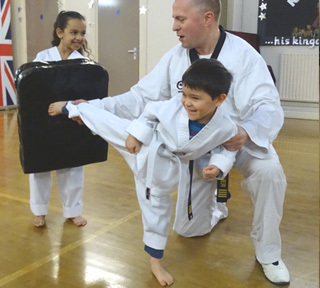 Tony also links the principles of Taekwondo to everyday life (home and school), to bring the class lessons into the real world. Win-win for both kid and parent! 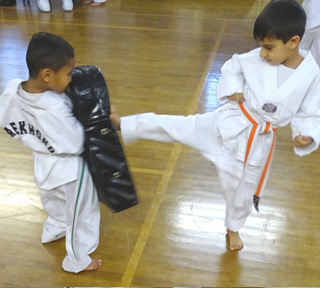 My 3 children have been attending Ickenham Taekwondo for some time now, and have benefitted hugely from the lessons. 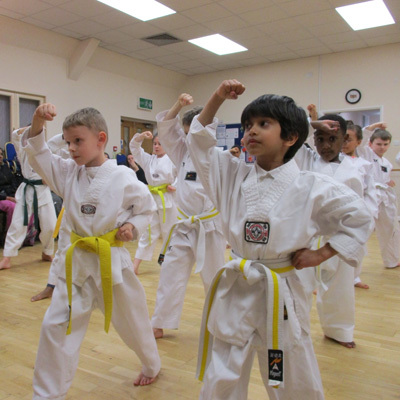 Not only have they learned valuable skills in taekwondo and self-defence, but have also gained increased self-confidence, better focus and are taught about respect and discipline in a fun way. Tony is a great teacher, making the lessons fun and engaging, for all the children.